An entrepreneur who had already turned his creative hobby into a profitable photography business before starting his business degree has further success in his sights as a result of how his University encourages student businesses to thrive. 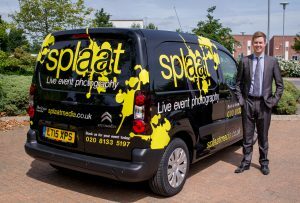 Greg McClarnon, an entrepreneur from Horsham in West Sussex and a Business Studies graduate from the University of Hertfordshire runs Splaat Media – a professional photography service for schools, groups and corporates across the south of England. Going into schools free of charge, Greg and his team at Splaat Media take photographs during dress rehearsals and create eye-catching displays for production nights, giving parents the chance to purchase these photographs. The service is also popular with schools who receive a complimentary set of photos which they can use for publicity or other services. When Greg started looking at universities, he wasn’t that inspired to go as his business was his first priority. However at an open day at the University of Hertfordshire, he started talking to a member of the Herts Entrepreneurs society and learned about the support for student businesses. After starting his degree, he took advantage of enterprise workshops that the University offered and applied for the University’s free office space. This provided him with a business address, a meeting room to meet clients and the opportunity to employ staff. He was able to run his business alongside his studies, employ other students and expand Splaat Media into a new region. In 2014 Greg worked with over 650 schools and groups and is on track to hit 900 in 2015. Although he has built many great partnerships with his clients and the bulk of his business is school drama photography, he is now becoming more and more involved in live event photography. Splaat Media is made up of three full-time employees, five photographers and six customer assistants. Following graduation he was able to benefit from a reduced rate for office space and have vital access to the University’s support networks. Last year Splaat Media had a turnover of over £100k and is focusing on expanding further into the surrounding counties and gradually in the north of England. Greg is also hoping to start photographing university graduations next year, increasing his offerings to the student and parent market. 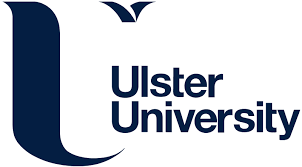 The University’s Enterprise Team within the Careers, Employment & Enterprise service is currently supporting several hundred enterprising students and recent graduates and has around 30 businesses running from its on-campus Incubation Centre.